Copper seal with standard Loctite Vibra seal coating for common aluminum and brass fittingss. 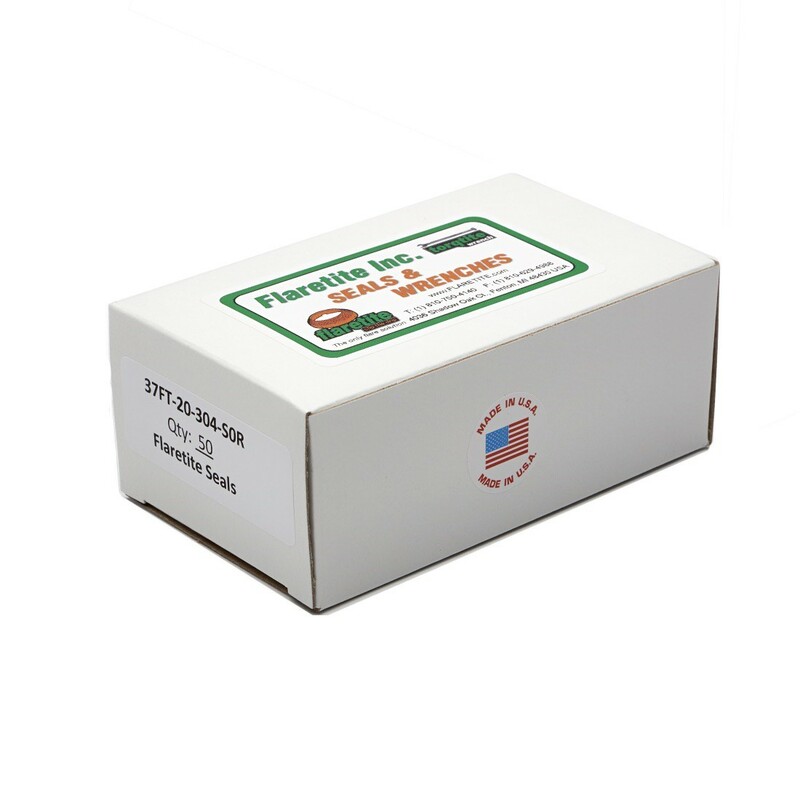 Rated for -40 to 300 F temperature and all common gases & fluids. Available in SAE (US Standard), 45 degree flare, for inch tubing sizes. Also available in JIC (US Standard), 37 degree flare, for inch tubing sizes. 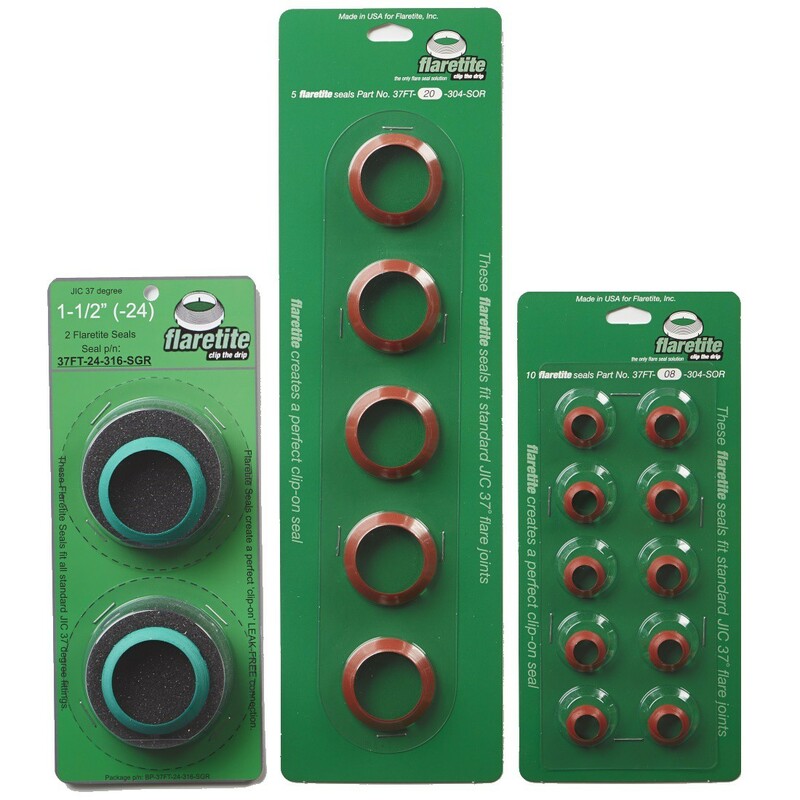 Note: The number of Flaretite seals per pack type varies according to the size of seal. See overview section for quantities per pack. 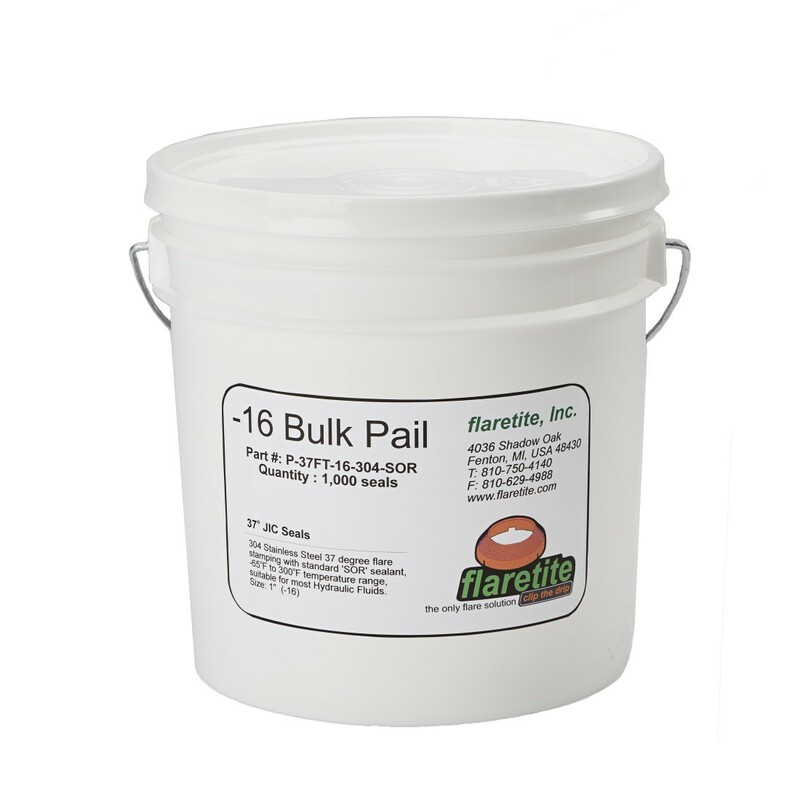 Bulk Pail Note: The number of Flaretite seals per pack type varies according to the size of seal. The entire seal is coated with a dry-to-the-touch, baked-on Loctite™ sealant. When inserted into a fitting, the concentric rings form multiple seals down the face of the flare, while the Loctite coating fills minor imperfections, dramatically increasing the integrity of the fitting. New ISO and NFPA standards strongly recommend seals for all fittings. 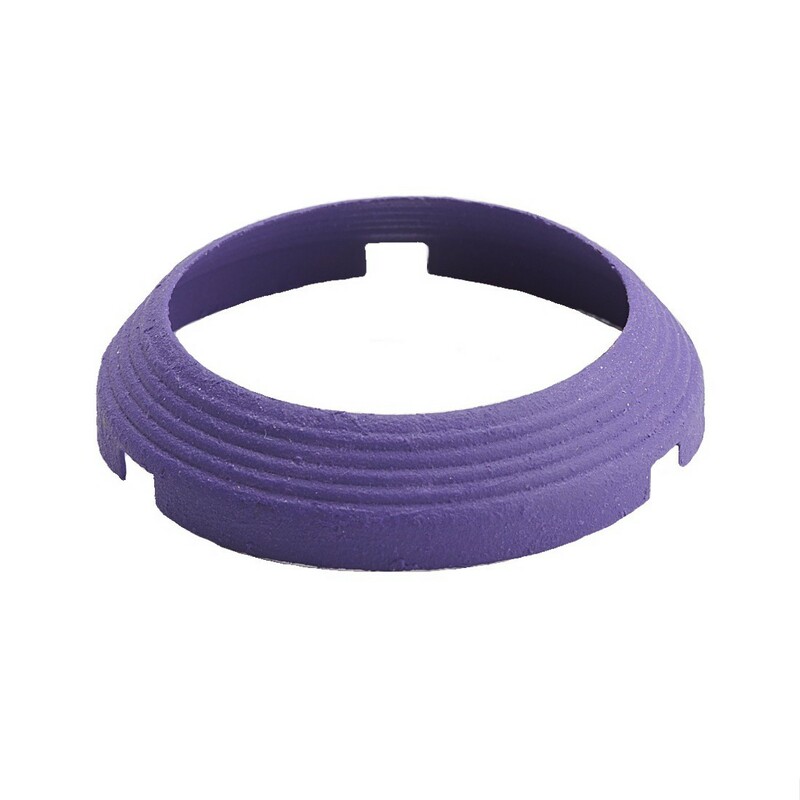 The sealing rings prevent environmental debris and aggressive cleaning solvents from attacking the sealing face while the Loctite™ protects the face from fretting, galling and over-tightening. And unlike ORFS fittings, the Flaretite Seal will not fail during a fire, allowing atomized hydraulic oil to fuel the fire. Fits all standard JIC flare fittings, hydraulic and pneumatic! Protects against weeping on new and damaged fittings! Creates a perfect "Leak-Free" clip-on seal, Guaranteed! 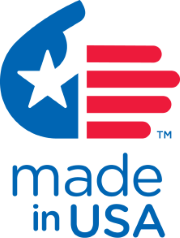 Complies with the latest International standards! Independently tested by Eaton’s Aeroquip hose & fittings division to one million high pressure square wave pulse cycles on badly scored JIC flared fitting faces without failure, this design, which easily installs by simply clipping over the male flare section, makes Flaretite Seals the single best choice “compliant seal” flared type fitting permanent leak free fix. Having proven performance with some of the world’s most difficult to seal flared fitting applications. 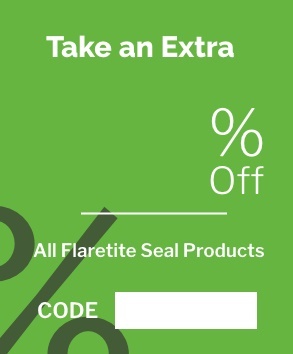 Manufacture of Flaretite Seals is based in Flaretite’s head office in Fenton North America.